We first began administering DC pension schemes in 1983 and now provide full administration services to nearly 4,000 DC arrangements. We recognise that the delivery of a successful DC pension scheme requires a variety of robust services and systems with proven consistently high standards. 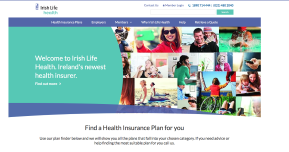 We provide a range of employee benefit solutions to over 620,000 customers in Ireland. We will appoint an Account Manager and Administration Services Manager, who will have responsibility for the day-to-day management of our relationship with you. Our systems interface fully with the major payroll services. This means that by using our payroll download facility, manual intervention is completely eliminated. So you have the assurance that your pension contribution information is downloaded from your payroll system and is uploaded directly onto our business systems. There are over 90 experienced members of staff split into nine administration teams responsible for the delivery of DC services. Each pension scheme has a dedicated administration team with full responsibility for the delivery of your requirements. All new staff in administration division are required to successfully complete the Qualified Financial Adviser Pensions exam or equivalent qualification to ensure they meet the necessary competency standards. 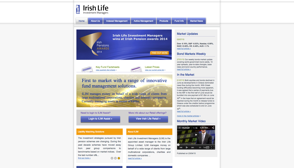 As a long term pension provider, we appreciate the evolving nature of pension planning. We offer a range of services and support to Trustees to ensure the pension scheme evolves in line with global best practice. 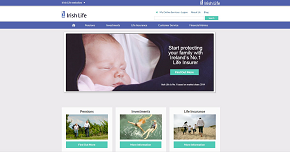 More Irish companies choose Irish Life Corporate Business as their insurance partner than any other insurance company (Source: Insurance Ireland 2013). We have been investing and innovating in the corporate market for over 30 years now. We have the experience that your organisation expects from all its business partners. Whether it is death in service or income protection benefits, we have the ability to service all your insurance needs. We will work closely with you to implement a communications plan that meets your specific requirements. Designing and implementing member engagement programmes.